Please phone for current stock. Set in 18 Acres of fruit tree orchard in the midlands with lambs and rare breed pigs. Gould life is a family run business of top quality birds. WE CAN SOURCE ANYTHING YOU REQUIRE. We have a large variety of chicks, chickens, growers and sometimes hatching eggs. Please see our website to view our current stock for sale. Long lived healthy strain, bred for calmness of temperament, egg laying ability, dark brown egg shell colour and richness of yolk. 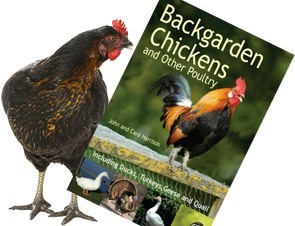 UK Chickens is set in the heart of wyre forest country side. We have over 30 different breeds of chickens available. We supply day old chicks as well as hatching eggs and POL birds. Supplier of Pekins in Lemon Cuckoo, Buff, Millefleur and Blue Millefleur and many other colours so please enquire. We supply fertile eggs, day old chicks, point of lay pure breds, good laying old fashioned birds. We are a family run business in the village of Newnham Bridge, near Tenbury Wells in the beautiful county of Worcestershire. We sell chicks, hens, cockerels, feed, housing and all necessary equipment. We supply gold and silver laced polands, silkies and peafowl. Other breeds often available. We can supply day old chicks, growers or POL pullets - please phone or email for availability. All chicks are vaccinated against Mareks and POL pullets will have had their first worming. All breeds are on the breed standard, fit and well, we offer a two week money back guarantee. Hobby breeder of Indian Runner Ducks. These ducks make wonderful, engaging pets, as well as being prolific egg layers and consumers of garden slugs. I presently have two lovely drakes for sale, one silver, one white and silver. Also some youngsters which will be sexed soon. Please call to see what I have available. Supplier of Chinese Painted quail in a variety of colours from spring to autumn. Hobby breeder of Coturnix quail, providing hatching eggs and birds in season. Japanese and other colours available. We can supply hatching eggs, subject to availability and youngstock is sometimes available. We are small family breeders of rare breed waterfowl, specialising in Cayuga and Large Silver Appleyards. It has taken a great deal of time and effort over a number of years to acquire the very best quality brood and exhibition grade ducks from which to breed. Breeding pairs and trios are with unrelated ducks and drakes. The ducks are our pride and joy, and we are dedicated to preserving these threatened breeds, by staying true to the adopted breed standards, whilst making them more accessible for anyone to own. our Large SA are all of exhibition standard, from county achievers and carry some of the best bloodlines nationally. We can take orders for posting, but equally we welcome anyone more local whom would like to collect in person. Please contact us in the first instance, accepted orders are on a first come first served basis, subject to availability. Eggs are securely and well packaged in purpose made poly boxes for protection during transit, and clearly marked as ‘fragile’. They are dispatched Monday-Thursday only via Royal Mail 1st class service (postage cost is normally £5 to most of Mainland UK, but extra charges may apply to some locations). Due to rules and regulations, regrettably we are unable to post to countries outside the UK. Upon receipt of your precious cargo, we advise that you rest the eggs for 24hrs at room temperature before commencement of incubation. Also if there are any ‘unclean’ eggs, we advise that you clean them with an appropriate hatchery disinfectant in accordance with the manufacturers instructions before commencement of incubation. THE BORING BUT NECESSARY STUFF..
Fertile eggs are only intended for incubation purposes and NOT for human consumption. 1) Whilst be believe all our eggs prior to dispatch to be of fertile and sound quality, we cannot control the handling/storage of them once in transit. Therefore their viability upon receipt, and during any subsequent incubation cannot be guaranteed. turned correctly prior to dispatch. 3) All eggs will be in perfect condition upon being packed, unfortunately once dispatched we can take no responsibility for damage or breakages. Great care has been taken to ensure their protection in every way possible. 4) We will dispatch the freshest eggs possible (for optimum viability) as quickly as nature will allow. No eggs will be more than 5 days old upon dispatch.